1 Gota VS et al. 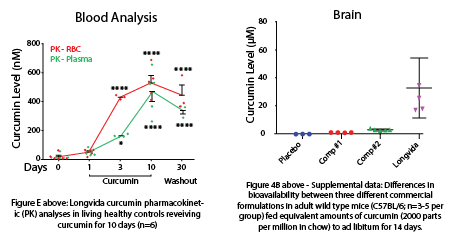 Safety and pharmacokinetics of a solid lipid curcumin particle formulation. J Agric Food Chem. 2010. 58(4): 2095-99. 2 Koronyo Y et al. Retinal amyloid pathology and proof-of-concept imaging trial. JCI Insight. 2017. 2(16).